The Intersection is a podcast about the Georgia Tech Scheller College of Business, nestled in Atlanta’s Tech Square and positioned at the intersection of business and technology. We speak with Undergraduate students about what attracted them to the program, the experiences they’ve had since arriving on campus, and the careers they are looking forward to. We also provide discussions with Scheller faculty to highlight their cutting-edge research and thought leadership, as well as staff to present a detailed picture of what’s happening at The Intersection. 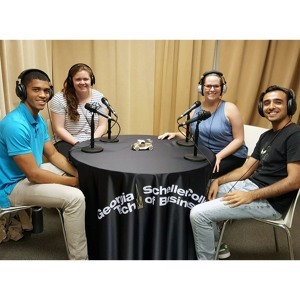 On this episode of The Intersection, we sat down with Travis King and Sam Medinger to talk about their internships with big Atlanta corporations last summer. Sam spent the summer on the Leverage Finance team with SunTrust Robinson Humphry and Travis worked for Delta Airlines on the One Delta team. 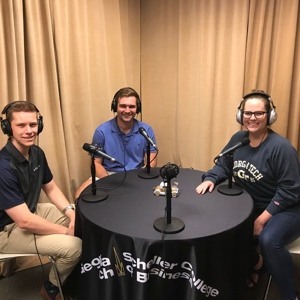 On this episode of The Intersection we sat down with Darby Foster, Rachel Luckcuck, and Matt Webster to talk about their internships with some large corporations. All three of our guests worked in the IT space with these companies and are part of the Denning Technology and Management (T&M) Program at Georgia Tech Scheller College of Business. If you want to be like any of our superstar guests, heed some of the advice they imparted: work hard early on in your college career and take advantage of all of the resources available to you. We had a wonderful time chatting with these three undergraduate students and are excited to see what their future holds. Have you ever wanted to know what it’s like to intern at one of the most prestigious financial institutions in the world? 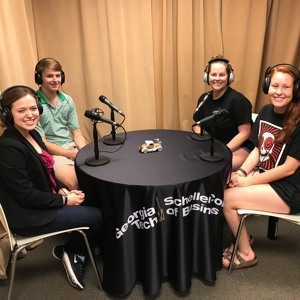 Listen as three Scheller College of Business undergraduate students talk about their summer internships with Credit Suisse, Goldman Sachs, and Point72. In this edition of The Intersection, we sat down with undergraduate students Naomi O’Halloran, (Goldman Sachs), Irfan Parvini (Point72), and Shane Phillipps (Credit Suisse) to hear what they learned in the world of accounting and finance.